The Blind Skateboards Guy Mariano "Accidental Gun Death" Deck size 8.75. 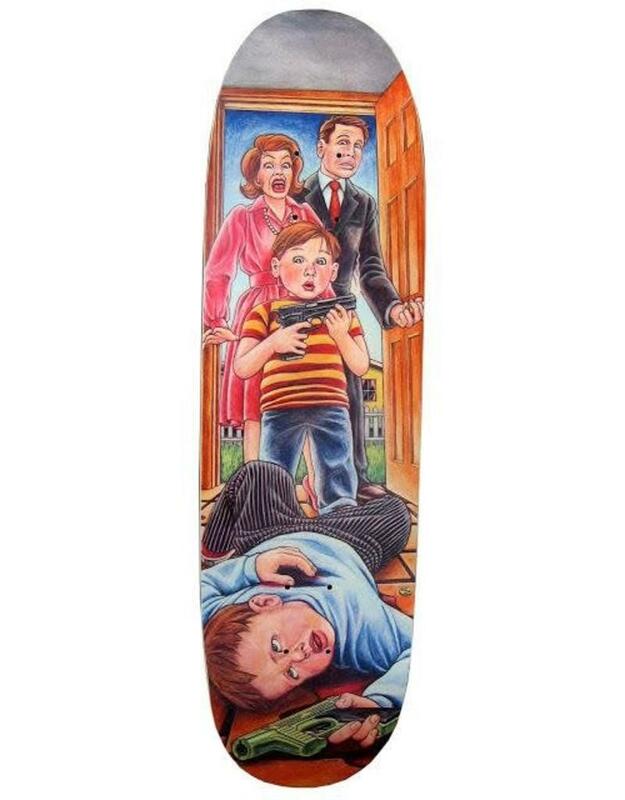 This is one of the most iconic board graphics of all time, drawn by Marc Mckee and originally released in 1992. This board shocked people when it came out and still makes people a little uncomfortable. It is being released as an ever-slick and will ship at the beginning of January.